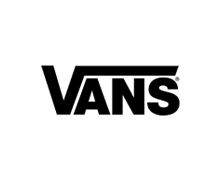 Originally started in 1966 as The Van Doren Rubber Company, the Vans brand name has grown to become a staple in the world of skateboarding and fashion. Union Jack Boots is proud to continue the tradition with the latest and best selection of Vans sneakers in Canada. We've got all the classics; Authentic, Slip-On, Era, Sk8-Hi, and Old Skool in a wide variety of colours and materials for men, women and kids.